According to Joint Rule 24 (b)(1)(A), every legislator is allowed to submit five bill requests each session. 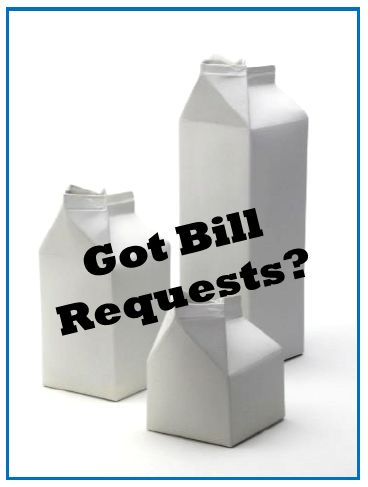 These five bill requests are in addition to any appropriation, committee-approved, or sunset bills that a legislator may choose to carry and must be submitted by the bill request deadlines. But in order to keep these five bill requests, a legislator’s bill requests must also meet specific bill filing deadlines. Filing bills and introduction deadlines. Bill requests may be forfeited if the request does not meet specific filing deadlines. * Prior to the start of each session, a legislator must decide which of his or her bill requests will be his or her “prefile” bill (to be filed and ready for introduction on the first day of session). And, of course, which two bill requests will meet the other early bill introduction deadline. At some point at the start of session, a legislator must also decide which two bills will meet the regular bill deadlines. A legislator’s “bill order” is the order in which his or her bills are filed for introduction. Joint Rule 23 (a) says that a legislator should choose his or her prefile bill and two early bills from the three requests made by the early bill request deadlines. This year the early request deadlines were Monday, November 26, 2018, for returning General Assembly members and Monday, December 10, 2018, for those members newly elected this year. The rule also allows a legislator to choose a bill request submitted after this early request deadline to meet the early bill introduction deadlines if needed. 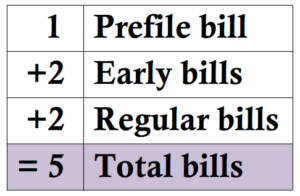 A legislator’s early bill requests usually are filed as his or her early bills because these requests are submitted earlier and, therefore, are more likely to be further along in the drafting process than a bill request submitted later. But sometimes an early bill request may be more complicated than expected. 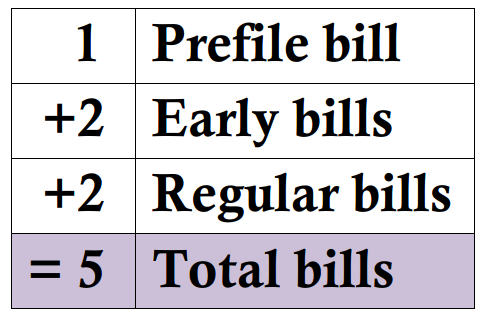 In this case, the legislator may choose a relatively simple “regular” bill request (i.e., a request submitted after the early deadlines in November and December) to be one of his or her bills filed with the House or Senate in time to meet an “early” bill filing deadline, leaving the legislator with more time to work on the more complicated bill request. The Office of Legislative Legal Services (OLLS) encourages legislators to designate their prefile bill and other early bills (i.e., the bill order) as soon as possible in early December so that the OLLS can prioritize the drafting on these bills accordingly. If the OLLS does not have a legislator’s bill order on record, we will contact the legislator for this information and will continue contacting the legislator until the information is received. * A legislator can ask for permission from the House or Senate Committee on Delayed Bills, whichever is appropriate, to submit additional bill requests or to waive a bill deadline to a different date.